While the makers of sports-oriented vehicles are cutting their warranty costs, those who make the equipment used by players aren't making much progress. Most of them spend about the same percentage of sales on warranty costs now as they did a decade ago. Warranty in what we're calling in its widest definition the sports equipment industry is a major expense. Those making the vehicles used for sports and recreation experience warranty expense rates comparable to those found in the passenger car and truck industries. Those making the actual equipment used by players on the field, however, are also spending one or two percent of their revenue on warranty costs. To reach these conclusions, we began with a list of 63 U.S.-based companies that are in some way involved in the sports, recreation or leisure industries. Then we divided the group into three parts, based on what they make and how it fits into the sports industry. Basically, we chopped it up into vehicles, equipment, and infrastructure. We found 24 that produce sports vehicles such as motorcycles, all-terrain vehicles, snowmobiles, golf carts, and bicycles, or recreational vehicles and motor homes aimed at the traveler, or pleasure boats and engines aimed at the consumer. Basically, they're the vehicles that carry the sports enthusiast as they move around. These we'll call the Sports Vehicles & Boats group. Representative companies would include Thor Industries Inc.; Harley-Davidson Inc.; Brunswick Corp.; and Polaris Industries Inc.
We found 31 that manufacture sports gear -- everything from golf clubs and video game consoles to helmets, tents, camping equipment, backpacks, coolers, hockey sticks, guns, sunglasses, hiking boots, scuba tanks, and exercise equipment. Basically, these are the items the sports enthusiast carries around. These manufacturers are in what we're calling the Sports Equipment & Gear group. Representative companies would include Jarden Corp.; Callaway Golf Co.; BRG Sports Inc. (formerly Easton-Bell Sports); and Johnson Outdoors Inc.
And then we found eight companies engaged in what we're calling Sports Infrastructure. For instance, they make the scoreboards, artificial turf, seating and roofing found in stadiums, the lighting systems found in pools, or the lawn care equipment aimed at the operators of golf courses. This is the equipment used to construct, operate or maintain the sports areas. Representative companies of this group would include Toro Co.; Daktronics Inc.; and Omnova Solutions Inc. (which has now left the sports stadium roofing business). It also once included companies such as AMF Bowling Worldwide Inc., which operated bowling alleys before selling them to a private company called Bowlmor AMF Corp.
We then gathered four essential warranty metrics for each company during the last 44 calendar quarters, from the beginning of 2003 until the end of 2013. From their quarterly and annual financial reports, we collected the amount they spend on warranty claims, the amount they set aside in warranty accruals, the balance in their warranty reserve fund, and the amount of warranted products they sold. In Figure 1, we tabulated the claims payments of the three groups over the last 11 years, combining the figures for each of the four consecutive calendar quarters of each year. The most prominent feature of the chart is the bulge in claims seen for the Sports Equipment group in 2007 and 2008. This is the Xbox 360 effect, which began in the second calendar quarter of 2007. From 2007 until 2010, the warranty woes of the Xbox 360 caused the Sports Equipment & Gear group to account for half or more of the entire sports industry's claims costs. This peaked in 2008, when $763 or nearly 60% of the entire sports industry's $1.29 billion claims total came from that group. Meanwhile, nearly three-quarters of that group's claims cost came from the Xbox. The Xbox recedes in importance in 2009 and 2010 and disappears entirely from the data in 2013, as a new market leader takes over. Jarden, owners of the Coleman, Rawlings, Marmot Mountain, Berkley, and numerous other sports-related brand names, calls itself the world's largest sports equipment business. And in this category, based on claims paid, it's been the largest warranty provider since 2011. Some of that warranty spending undoubtedly comes from small appliances and other non-sports-related product lines at Jarden. But in its most recent annual report, what Jarden calls its "Outdoor Solutions" accounted for 37% of its total revenue, while only 28% came from the unit that manufactures household appliances. So it's likely that sports equipment accounts for a plurality of the company's warranty expenses as well. In the Sports Vehicle category, industry leadership has also recently changed hands. For years, Brunswick spent the most on claims, thanks to its warranty-intensive boat and engine business. But its claims total peaked in 2007, and has been falling slowly ever since. Meanwhile, Thor Industries has seen its recreational vehicle business slowly recover from the recession in recent years. Its lowest annual claims cost totals came in 2009 and 2010. All the while motorcycle maker Harley-Davidson has been paying a fairly steady amount of claims from one year to the next -- not as much as Brunswick, but a little more than Thor. For instance, in 2010 Harley paid $58 million in claims, midway between Brunswick's $89 million total and Thor's $49 million total. That pattern changed abruptly in 2013. Brunswick dropped to third with $64 million paid, and Thor jumped into first place with $80 million paid. Harley is still in the middle. And in 2013 the companies in the vehicles category paid out $329 million, their highest claims total since 2008. The Sports Infrastructure group has paid anywhere from 5% to 12% of the entire sports category's claims over the past 11 years. Back in 2003 and 2004, in fact, they paid out more than the Sports Equipment did. And then along came the Xbox. But in recent years, the Sports Vehicles group has reclaimed	the dominance it had from 2003 to 2006, accounting for more than half the claims of the entire industry in both 2012 and 2013. With warranty accruals, many of the same patters hold. As can be seen in Figure 2, there's an Xbox-related spike in accruals in 2007, but by 2010 it has dissipated and by 2012 the sports vehicle makers once again account for the majority of all warranty accruals made. The big difference is there's not much of a post-recession upturn in any one category's accrual totals, and a steady decline in the entire industry's overall total since 2007, except for a $10 million rise in the overall total from $576 million in 2012 to $586 million in 2013. And that, in turn, was the product of a $31 million rise in sports vehicle accruals, a $23 million decline in sports equipment accruals, and a $2 million increase in sports infrastructure accruals. Then again, the vehicle makers did actually accrue more in 2013 than they did in 2012. And that was the most they've accrued as a group since 2008. But as with claims totals, leadership within the group also changed hands, passing from Brunswick to Thor. The difference is, with accruals this change in leadership happened in 2011 -- two years before it happened with claims. Once again, this proves that there's a lag time between when an accrual is made and when it's spent on claims. Still, let's not make too much of this change of leadership. Annual accruals at both Thor and Brunswick are down from their peaks. The companies that helped the most to drive up the 2013 accrual total are Harley, Polaris, and Winnebago Industries Inc. In fact, when we combine the raw totals in Figures 1 and 2 with the sales revenue data we compiled separately, evidence of a completely different trend emerges. In Figure 3, we can see that at least the makers of sports vehicles and boats are reducing the percentage of sales revenue they spend on warranty costs. This means they are finding ways to reduce the frequency or average cost of repairs, by making products that don't need as much warranty work. Back in 2003 to 2009, they could expect to spend on average two percent of their product revenue on warranty expenses. But then that ratio began to drop. By 2011, their expense rates had dropped under 1.5%. And while they've been above 1.5% a few times since then, note that the lowest the accrual rate has ever been was in the third quarter of 2013, when it hit 0.9%. At the same moment, of course, the group's average claims rate hit 1.8%, which was the highest it's been since early 2010. But by year's end in 2013, both expense rates had returned from their excursions, meeting at 1.4%. We'd suggest that while the average expense rate among the 24 makers of sports vehicles and boats was around 2.0% from 2003 to 2009, it's now closer to 1.4%. That improvement, we suspect, is caused by increased product quality, improved designs, and the use of past warranty failure data to prevent future failures. In the Sports Gear & Equipment category, meanwhile, the data has been skewed heavily by the Xbox problems during the years of 2007 to 2010. Before and after those unusual years, average warranty expense rates were typically below two percent. However, between 2003 and 2006, and then again from 2011 to 2013, there doesn't seem to be a direction to the data. If anything, the expense rates are highly seasonal, rising late in the year and falling early in the following year. There doesn't seem to be an upward or downward trend from one year to the next. The same general pattern can be seen for the Sports Infrastructure companies in Figure 5. If anything, their average expense rates were slowly rising from 2003 to 2009, and have slowly fallen ever since. But they've generally remained within a range of 1.5% to 2.0%, except for the occasional peaks and valleys. From these three charts in Figures 3 to 5, it's clear that only the sports vehicle and boat makers have taken any real steps to reduce their warranty expense rates. The other two groups have been more or less paying claims and making accruals at the same rates for the past decade, except for the years the Xbox distorted the industry averages. Our fourth warranty metric is the balance left in the warranty reserve fund after all the claims have been paid and all the accruals have been made. But it's not quite a mathematical addition of claims out and accruals in, because there are additional adjustments to be made for acquisitions, divestitures, changes of estimate, and foreign exchange fluctuations. In Figure 6, the Xbox once again distorts the totals for its group, beginning in 2007 and tapering off by 2010. However, as the warranty reserve funds dedicated to the Xbox 360 tapered off, new leaders in that category saw their warranty reserve balances grow. By 2013, in addition to Jarden, the leaders in the Sports Equipment & Gear group included Signet Jewelers Ltd. and Smith & Wesson Holding Corp. In the vehicle group, Brunswick remained the leader in warranty reserves from 2003 to 2013. Unlike with the other warranty metrics, Thor Industries never challenged or surpassed Brunswick with its reserve balance. Instead, Thor and Harley-Davidson traded places a few times for second and third. Polaris remained in fourth. The Sports Infrastructure category remained about the same as well. One big reason for this is the stability of Toro, which has kept its warranty reserve balance close to $60 or $70 million for 11 years running. And that has kept its total share of the Sports Infrastructure warranty reserves between 65% and 70% of the total. It's impossible to know how much of that was due to Toro's golf course and sports field equipment and how much was from products aimed at residential homeowners. However, the company notes in its latest annual report that 70% of its revenue comes from the professional segment, which includes products aimed at golf courses and sports fields. And that's the same situation with other sports equipment market leaders such as Jarden, Harley-Davidson, and Polaris. We're assuming the primary use for the products of these companies is sports, recreation or leisure. But who's to say they're not really selling household appliances or vehicles used primarily to commute to work? GM report names now-fired engineer who approved use of recalled switch. Hawaii Governor signs Senate Bill 2657, on solar energy devices & roof warranties, into law. Whirlpool fixes same refrigerator 10 times. Apple VP talks about plans to enhance & expand AppleCare+ program. Nissan lengthens commercial van warranty to 5 years/100,000 miles. Samsung launches premium warranty in Nigeria for Galaxy S5 users. Mercedes-Benz Malaysia won't honor fuel-related warranty claims on gray market imports. Auto Protection Alliance slow to process vehicle service contract refunds. McCusker & Co. to sell the Service USA Hero Shield through smartphone dealers. Synology announced 5-year warranty for its XS/XS+ NAS servers. 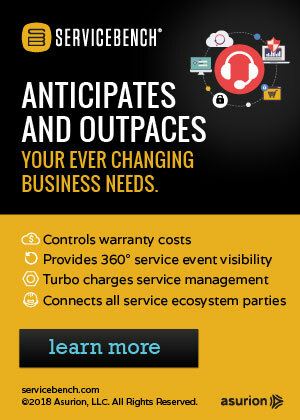 PTC announces Service Lifecycle Management System with warranty management. Automakers want simpler state laws for franchise dealers. Alberta's Home Buyer Protection Act impacts smaller home builders. Energy firm Scottish Power in £79 million extended warranty scandal. Timberland boots have a lifetime warranty, unless you're in prison. HomeServe utility line warranty offer puzzles some American Electric Power customers. Schuberth North America to provide warranty service on Held products. Turnkey Auto Group opens new office in Tustin, CA, to sell vehicle service contracts..
Saatva lengthens mattress warranties from one to two years. Town administrator thinks long warranties on solar equipment means free electricity. Thomas Built Buses lengthens school bus warranties to 3 years or 50,000 miles. Ford to fix fuel-economy rating errors with warranty claims payments to owners. Philippines Senate passes Lemon Law requiring 12-month/20,000-km warranties. Rick Case Automotive Group offers free 10-year powertrain warranties on all purchases. Netgear broadens warranties and customer support terms. Serta, Simmons moving to 10-year warranties in 2015. Study finds home warranties increase selling prices, reduce selling time. REC Solar offers 25-year linear power output warranty and a 10-year product warranty. Chinese-made transformers fail in Hanoi right after warranty period ends. Navistar says warranty costs down 13% year-over-year in second quarter. Seagate's LaCie Rugged hard drive warranty lengthened from 2 to 3 years. Nexen Tire revamps replacement market warranty program. Kay Jewelers initially balks on honoring oral promise added to service contract. Hooksett car dealer fined for pocketing extended warranty premiums. Can an aftermarket part void my car warranty? GM India launches Chevrolet Spark with 3-year/100,000-km warranty. Chevrolet Sales Thailand extends promotional warranty offer until end of July. SanDisk Extreme Pro SSDs feature 10-year warranty. The Warranty Group says extended warranty sales continue to perform strongly. Legacy Chiller Systems expands warranty coverage. Sam's Club to offer chip-enabled MasterCard that includes warranty extensions. Private equity firm buys PATS Aircraft Systems, one of only six Boeing-authorized warranty service centers. Bill to allow Tesla to sell cars in New Jersey advances. Navistar loss narrows as warranty costs fall, truck sales rise. GM announces exits of several executives, releases recall probe results. National ASE Institute awards EFG Companies the Blue Seal of Excellence. Consumer Reports makes huge mistake in Kia oil filter story. Railroad engineer explains new Chinese locomotives' warranty. Water-line insurance endorsement raises questions in North Las Vegas. Larry Montez and Steve Jordan join StrucSure Home Warranty. GM extends supercharger warranty on Chevy Camaro & Cadillac CTS-V.
Scottish Power warranty dispute: how it happened. Alberta's new home warranty program stumbles out of the gates. Bushehr nuclear power plant has a 2-year/7,000-hour warranty.